This item is an open box model. 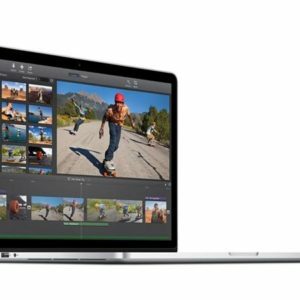 The MacBook Pro “Core i7” 2.6 15-Inch (Late 2016 Retina Display, Touch Bar, Four Thunderbolt 3 Ports) features a 14 nm, 6th Generation “Skylake” 2.6 GHz Intel “Core i7” processor (6700HQ), with fourindependent processor “cores” on a single silicon chip, a 6 MB shared level 3 cache, 16 GB of onboard 2133 MHz LPDDR3 SDRAM (which cannot be upgraded), 256 GB of PCIe-based flash storage, and dual graphics processors — an AMD Radeon Pro 450 with 2 GB of dedicated GDDR5 memory and an integrated Intel HD Graphics 530 graphics processor that shares memory with the system. 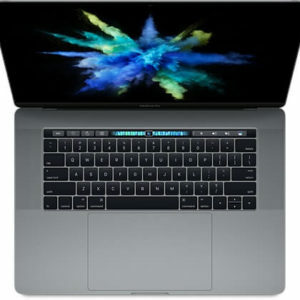 This notebook also has an integrated 720p FaceTime HD webcam, a thin, backlit “second generation” butterfly mechanism keyboard with an integrated new “Touch Bar” that replaces the traditional function keys with a touch-sensitive control that adapts for different applications and provides Touch ID login support, and a gigantic “Force Touch” trackpad. 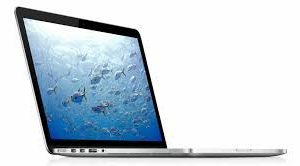 Additionally, it has a high-resolution LED-backlit 15.4″ widescreen 2880×1800 (220 ppi, 500 nits) “Retina” display, and a integrated battery that provides an Apple estimated 10 hours of runtime. 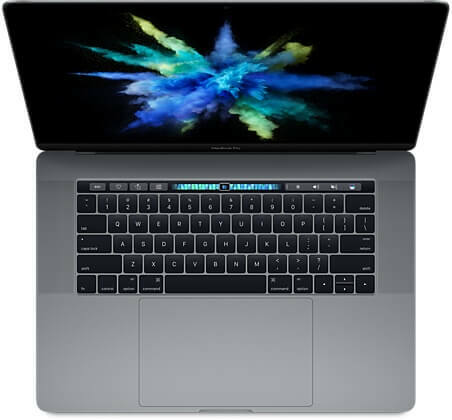 Connectivity includes 802.11ac Wi-Fi, Bluetooth 4.2, four “Thunderbolt 3” ports (USB-C connector), and a 3.5 mm headphone jack. 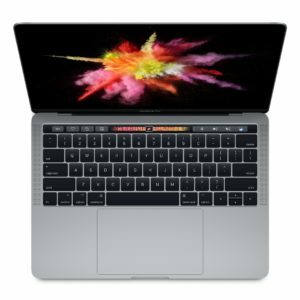 Compared to its predecessor, this model has a completely different external housing that is thinner, is available in another color option, and has the aforementioned “Touch Bar” in addition to a larger trackpad, but swaps a variety of ports for just four Thunderbolt 3 ports and a 3.5 mm headphone jack. 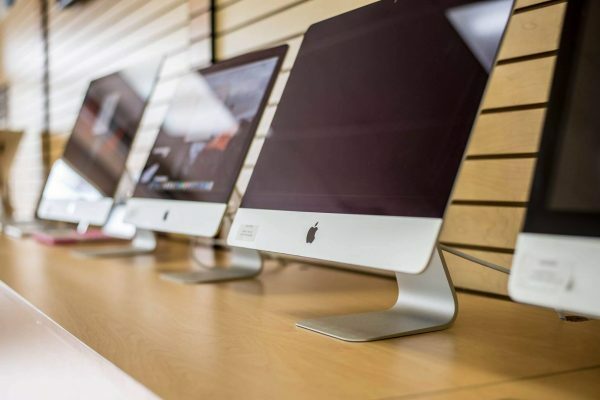 Internally, it has a more advanced processor and architecture, as well as a more advanced graphics processor and better speakers, but reduced battery life.